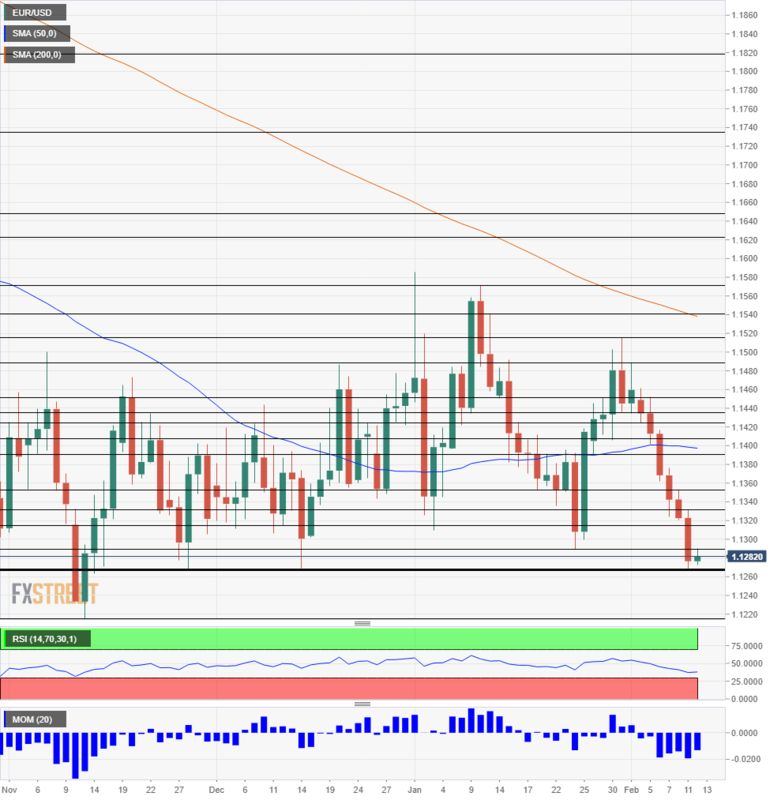 “EUR/USD struggles to recover after tumbling down on Monday. Optimism on the government shutdown and trade may help. The triple-bottom is critical to the pair’s next move. EUR/USD is trading below 1.1300, unable to recover from Monday’s fall. The pair dropped on growing yield differential between falling German bund yields and rising US ones. Bond yields reflect a growing divergence between more and more signs of an economic slowdown in Europe and a resilient American economy. It also represented concerns about the US government shutdown and trade talks between the US and China. And on these fronts, there have been positive developments that support a risk-on atmosphere, thus potentially pushing euro/dollar higher. Democrats and Republicans in the Senate reached a compromise on funding for border security. The funds for a 55-mile barrier were agreed upon by Senators and were endorsed by House Speaker Nancy Pelosi. President Trump will reportedly also support it, thus opening the door to keeping the government open beyond the deadline on Friday. Trump did not directly address the topic but did express hope on clinching a deal with China. His optimism in a rally in Texas also helped improve the sentiment. All in all, sentiment related to trade and the shutdown will likely set the tone for the day. We are using the daily chart today instead of the four-hour one, to provide a broader picture. The triple-bottom stands out, just below 1.1270. The level cushioned the pair in November, December, and February, and is a critical line of support. Breaching the triple-bottom opens the door to the 2018 trough at 1.1215. Further support awaits only at 1.1115, which dates back to June 2017, 20 months ago. Looking up, the immediate cap is at 1.1290 that was the low point in January. Close by, 1.1315 was a swing low in early January. 1.1330 and 1.1350 follow. The 50-day Simple Moving Average comes out just under the round number of 1.1400 and serves another point of resistance. The Relative Strength Index on the daily chart leans lower but has not fallen below 30, thus not reflecting oversold conditions. However, it tripped below the level on the four-hour chart. Momentum is clearly to the downside.